The theme-based living is the talk of the country today! In fact, theme-based housing projects are in great demand now. Studies say that it is mostly the young homebuyers coming from the middle-class families, who take interest in this type of housing project. It is true that the residential communities over here are rapidly developing and, thus, coming up with smart apartments. Today, you will find interesting and top-class accommodation options in all categories, which include reasonably priced to premium living. According to several analysis and researches, it has been observed that for a long time customers were looking for something ‘new’ and ‘unique’, which led to the development of theme-based accommodation options. Then with the passage of time, this residential market gradually developed in size, thereby, making people get interested in investing their fund in such residential properties. Believe it or not, there has been a dramatic change in the likes and dislikes of the homebuyers. In fact, in the case of themed luxury living, things have changed on a positive note, drawing a huge number of young homebuyers every year. It has been noted that these days, buyers show interest mostly towards those projects, which offer perfect vintage luxury architecture with modern amenities and facilities designed as per the theme. Needless to say that theme-based developments add an extra dimension and zeal to the real estate market, which is a perfect value addition. To be precise, with a number of young buyers gradually entering the realty market, the demand for theme-based apartments is increasing. The theme-based living has been playing a significant role in the realty industry. In fact, it has taken the accommodation facility to the next level. This has made the developers adopt more such projects based on different themes like Disneyland landscape, Sports theme, Spanish Vilas and so on. Whatever is the theme, the consumer must connect to it without fail – this is what a developer focuses on when working on a theme-based project. For example, if the building has a sports theme added to it then it will add a dimension of a healthy lifestyle and well-being to the existing theory of affordability. 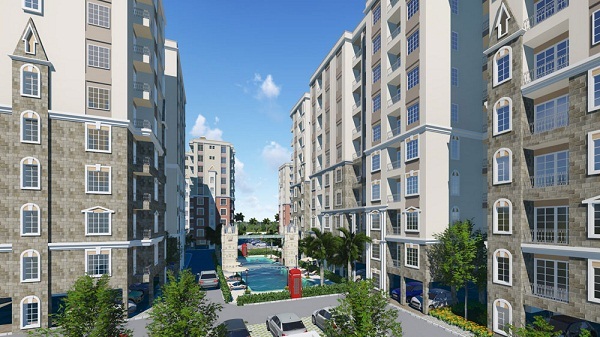 No wonder theme-based housing projects add an edge and extra appeal to the real estate market. In fact, such residences come with a first-class tag and are somewhat high in comparison to the cost of the non-theme-based projects. Such projects involve distinct experts, superior quality of construction materials required to design particular themed lifestyle. It is true that fashion has gradually crept into every aspect of life and the real estate sector is no exception. Research says that with time, Indian lifestyle has found a good exposure to the global standards, which has significantly helped the realty industry to grow. To be precise, theme-based accommodations are considered as the new marketing gimmick in the market today, thereby, alluring a huge number of NRIs to invest. NRIs, found this accommodation option to be a good one because they have been enjoying higher living standards.